Thank you for visiting the website for DMC Dental. Regardless of which location you visit, you’ll always be treated with respect and compassion by a team dedicated to providing personalized service. 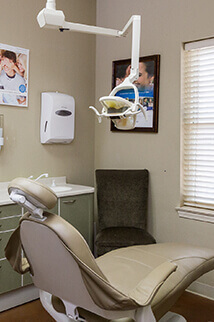 We offer a range of today’s best preventive, cosmetic, and restorative solutions so you and your family achieve optimal oral health. From basic exams and cleanings to more advanced services, we believe you’ll find the help you need at one of our two locations. What does it take to offer truly personalized service? First and foremost, it takes dedication to building, personal relationships with patients. We never want to treat anyone as a number or a “case.” You’re unique, and so are your dental needs. With every patient we see, this philosophy is at the forefront of our minds. The second important aspect of providing personalized service comes at the level of patient education. When we recommend a service to you, we take the time to explain why that service is right for you, how it will help, and exactly what to expect from the actual procedure. We never want anyone to agree to a plan or procedure without having an accurate sense of how that service will help them. If you have questions, don’t hesitate to let us know. We love answering your questions.